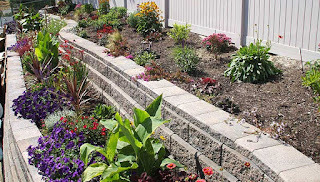 The Allan Block Blog: Do I have to use caps on my retaining wall? 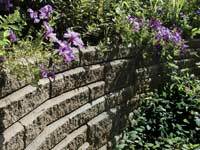 Do I have to use caps on my retaining wall? This is a question we get quite often; Do I have to use caps on my wall? Oftentimes the question is asked because the customer doesn't like the look of the cap or they are trying to lower the overall cost of the project. 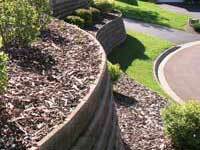 Fortunately with Allan Block retaining walls there are several options for topping off the wall. 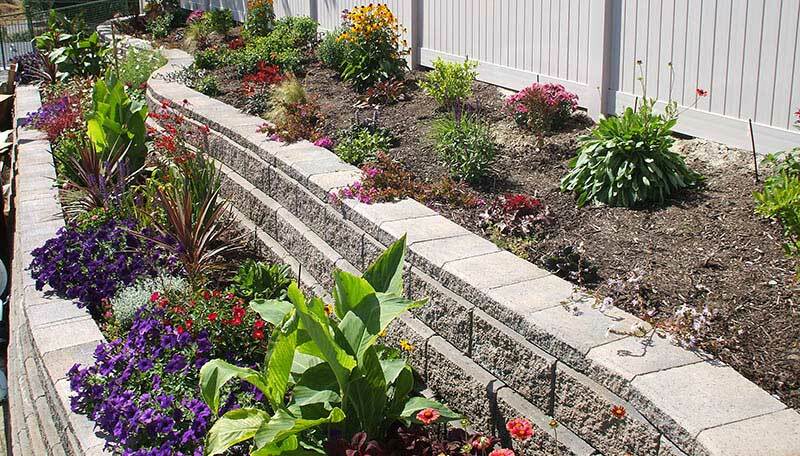 Because the blocks are hollow and have a raised front lip, the top course of the wall can easily be filled with soil for plantings or decorative, rock, mulch, etc. You could even use a brick or a paver or natural stone on top of the wall - but these tend to be costly so if you are looking for an economical alternative, these might not be it. Whatever you choose, think about how the top of the wall is going to be used and the maintenance that may be needed over time. Glue down any tops that could be hazardous and think about weed fabric, if you are using rock or much. Topping off your wall can be as creative as you are. But if there are too many options to choose from, you can always use AB Capstones (this is the job they were meant for 😉 ).